The Pointer Sisters’ return to the number 1 spot with ‘Fire’ only lasted 1 weeks as it was ousted by the 5th song by an Irish act to top the chart and the first of those that was not by Joe Dolan. 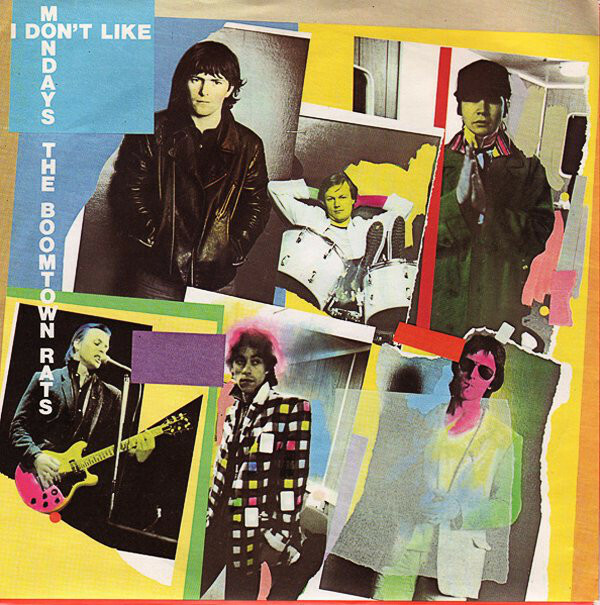 The Boomtown Rats’ ‘I Don’t Like Mondays’ moved up from 4 to 1. The last song to climb to the top spot from number 4 or lower just happened to be one of the Joe Dolan chart toppers mention above, ‘My Love’. ‘Fire’ fell to 5 and was the 7th song to drop to 5 or lower from the top spot with 3 songs having dropped to a record low of 6 from the number 1 spot. In terms of the non-big 3 nations, only Sweden and The Netherlands had seen more chart toppers than Ireland and both nations were on 7. Suzi Quatro picked up her 4th biggest climber award with a 7 place jump from 18 to 11 by ‘She’s In Love With You’. Boney M’s ‘El lute/Gotta Go Home’ was the only other star rater with a 5 place climb from 9 to 4. ‘Fire’s fall from 1 to 5 mentioned above was the faller of the week and it was the 7th song to pick up the biggest faller award while dropping from number 1. Another song which has been mentioned already, Joe Dolan’s ‘My Love’, was the only song to leave the charts. It had been with us for 17 weeks and spent a total of 2 weeks at 1, with that run being broken by Racey’s ‘Some Girls’ for 1 week. ‘My Love’ had been the oldest on last week’s chart and one of the 2 songs that took over as the oldest had taken over the number 1 spot from ‘My Love’ (after it’s second week at 1) and that was M’s ‘Pop Muzik’. The other oldest on the charts on 15 weeks was Kiss’ ‘I Was Made For Lovin’ You’. The Dooleys saw their 2nd hit make our charts in the form of ‘Wanted’. The song was written by Ben Findon, Mike Myers (not the guy from ‘Wayne’s World’ and ‘Austin Powers’) and Robert Puzey. It was Findon’s 8th hit as a song writer, Myers 3rd and Puzey’s first. 41 song writers had managed at least 8 hits so far. ‘Wanted’ would be their highest charting song in both the UK and Ireland, reaching 3 in both countries. Last week we saw the 17th time when only 1 act was seeing a new highest placing on the charts and this week we had the 18th time as the only act reaching new heights was The Boomtown Rats who were at 1. Jamaica caught up with France for weeks in the chart by acts from those nations. Both were on 174 weeks and sat tied 10th. Further down the list, Peter, Sue & Marc helped Switzerland move tied 15th with New Zealand on 29 weeks. Peter, Sue & Marc accounted for 20 of the 29 weeks by Swiss acts. On the overall weeks count list, Cliff Richard moved 1 ahead of Neil Diamond as his total moved on to 128. He sat 6th with Diamond dropping into 7th place while Boney M entered the top 20 of the list with their 84 putting them tied 19th with Alan Garrity and Engelbert Humperdinck. This week saw the 145th consecutive week with a female act in the charts and this was a new record. The previous run of 144 weeks ended on 21 February 1975. There would only be 3 times when we had a run of 145 consecutive weeks with solo women in the charts. This entry was posted in 1979 and tagged Boomtown Rats, I Don't Like Mondays, SA Top 20, South Africa, Springbok Radio. Bookmark the permalink.